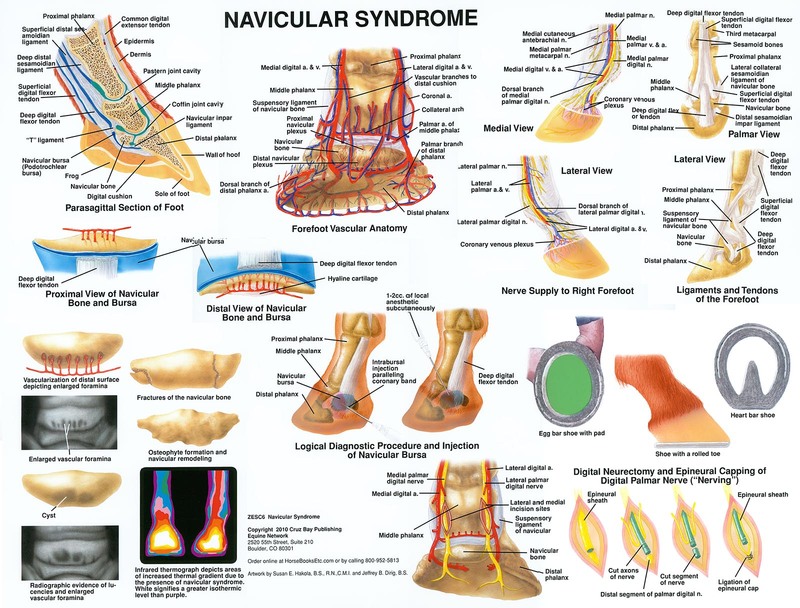 Illustrates the various aspects of navicular disease. Shows the affected bone, tendons and bursae as well as the vascular and neural anatomy of the heel area of the hoof. 20" x 26" size and laminated on both sides in heavy plastic.